When capacity expansion takes place in traditional network transmission, Time Division Multiplexer(TDM) and Space Division Multiplexer (SDM) are adopted. Both of transmission networks use a single wavelength signal for data transmission. However, this transmission method does not make full use of optical fibers with a large capacity as the transmission medium, resulting in great waste. To deal with the issue, the DWDM tech comes into optical interconnect markets. Then in this post, an introduction to DWDM will be made in detail. DWDM, short for Dense Wavelength Division Multiplexing, is a technology that gathers datum from different sources on an optical fiber. It’s applied in fiber optical transceiver(so DWDM XFP, DWDM tunable SFP+ and so on appear) to increase bandwidth over existing fiber optic backbones, and is with each signal simultaneously carried on its own separate light wavelength. The “dense” here means that the wavelength channels are very close to each other. Besides, DWDM, up to 80 (and theoretically more)separate wavelengths or channels of data can be multiplexed into a light stream transmitted on a single optical fiber. 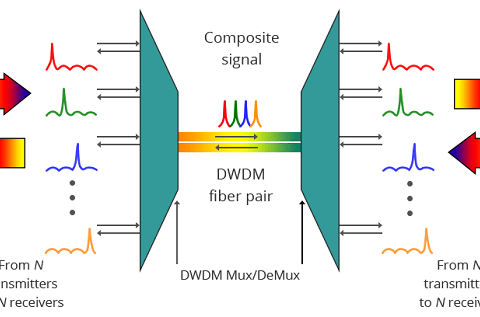 DWDM systems require complex calculations of the balance of power per channel, which is further complicated when channels are added and removed or when it is used in DWDM networks ring, especially when systems incorporate optical amplifiers. In terms of tech and economy, the ability to provide potentially unlimited transmission capacity is the most obvious advantage of DWDM technology. The current investment in fiber plant can not only be reserved but optimized by a factor of at least 32. As demands change, more capacity can be added, either by simple equipment upgrades or by increasing the number of lambdas on the fiber, without expensive upgrades. Capacity can be obtained for the cost of the equipment, and existing fiber plant investment is retained. Transparency: due to that DWDM is with a physical layer architecture, it can transparently support both TDM and data formats such as ATM, Gigabit Ethernet, ESCON, and Fibre Channel with open interfaces over a common physical layer. Scalability: DWDM can leverage the abundance of dark fiber in many metropolitan area and enterprise networks to quickly meet the demand for capacity on point-to-point links and on spans of existing SONET/SDH rings. Dynamic provisioning: fast, simple, and dynamic provisioning of network connections give providers the ability to provide high-bandwidth services in days rather than months. The distance limitation can be overcome by transporting data between one or more enterprise locations and one or more SANs over the optical layer using DWDM. In addition to overcoming distance limitations, DWDM can also reduce fiber requirements in SANs. Both ESCON and FICON require a pair of fibers for every channel. By multiplexing these channels over DWDM transport, significant savings can be realized. DWDM has the capability to expand capacity and can serve as backup bandwidth without a need to install new fibers, thus it is ready-made for long distance telecommunication services. DWDM can also be used in various networks like Sensor Networks, Remote Radar Networks, Tele-spectroscopic process control network, and many more networks. By the use of only two fibers, 100% protected ring with 16 separate communication signals can be constructed deploying DWDM terminals as these are self-healing rings. In order to meet the demand in fast-growing industrial base, DWDM system can be used for existing thin fiber plants as these plants cannot support high bit rates. It’s believed that there are great demands for large transmission capacity in current optical interconnect markets. While large transmission capacity is regarded as its outstanding benefit, it will contribute to the development of DWDM tech to a large extent. 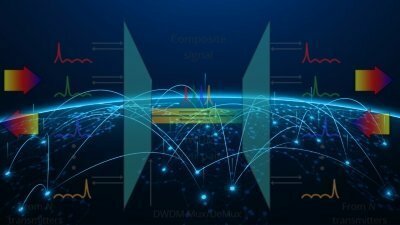 Furthermore, as the ideal technology for communication systems, there is no doubt that DWDM technology will reshape the future communication network by virtue of its various advantages and applications in many aspects. 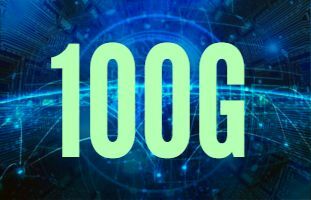 Why to Deploy 100G and What Are the Challenges? Do You Know These about CWDM?